Talking about the past two years of this Seimas term, political scientist Kęstutis Girnius quipped that all we are missing is a Seimas inquiry into Vytautas the Great's actions following the Battle of Žalgiris. What was the first half of this Seimas term like? 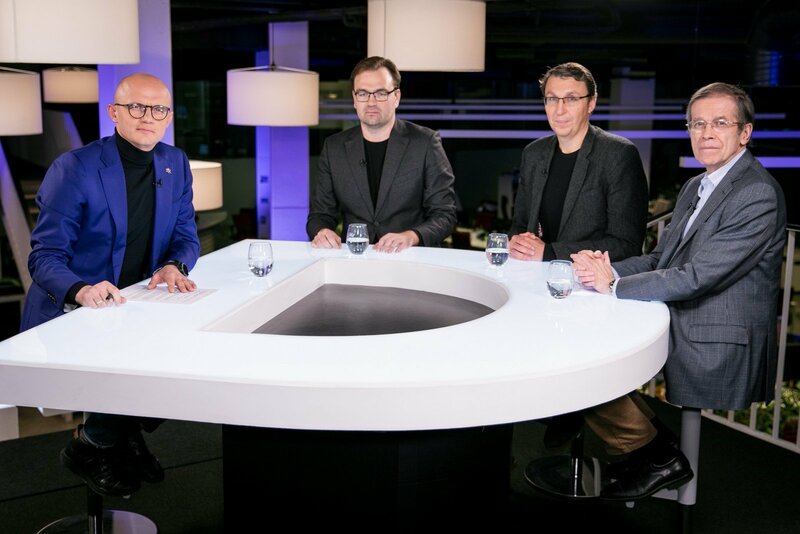 This was discussed on Delfi's Dėmesio Centre with public relations expert Mykolas Katkus, Lietuvos Rytas newspaper analyst Vytautas Bruveris and Vilnius University Institute of International Relations and Political Science political scientist Kęstutis Girnius. To describe the past two years of the Lithuanian Seimas, M. Katkus opts for the word "ideology." "We have a very ideologic part. We are used to be promised all sorts of things during the elections, which are afterward not followed up on. In this case, those who made promises are mostly adhering to it," he notes, adding that the ruling party has forged onward despite controversy, antagonising the public and news media. As such, another word that comes to mind concerning the Seimas is "antagonisation." This sentiment is apparently on the rise and has begun numbing the public, with numerous investigative commissions no longer drawing interest. For V. Bruveris, the key word would be "war." At the same time, he points out that if he could use a phrase instead, it would be "Naisiai is within reach, but only within reach..."
"What I mean with this – it is clear that the main goal of this government is to usurp and concentrate as much power as possible. Metaphorically speaking, there is desire to change from the Republic of Lithuania to the Republic of Naisiai, where the centre of power is on the central sacrificial hill, from where the chief krivis (pagan priest) rules with informal and shadowy methods. The way he is doing in, for example, the Seimas. How are they faring? They are trying, there are attacks on a wide front, seeking to weaken and smash competitors not only on the main political scene, but also other civic institutes, which are as if a natural obstruction to this usurpation. First the news media, then I believe the Constitutional Court would be next in line as an institution, then the Constitution as a written document and so on. The attack is faring quite well, there is massive effort, just that now at the halfway point, we see that things are not faring quite as well as expected," V. Bruveris says. K. Girnius is more positive than the newspaper analyst, pointing out that the usurpation is complicated, with only a sliver of a Seimas majority, which is displayed by votes in Seimas. "I believe there was a good start. There were initiatives, which we clearly see were not accomplished well, but nevertheless there were efforts to reform the universities, there was the alcohol law. I believe that it was great that they finally reviewed certain institutions such as Lietuvos Geležinkeliai (Lithuanian Railways), the forestries and such. I believe it is good that they reviewed LRT. IT was clear for a decade now that it was not the council that was in charge, but the director. Of course, it was not beneficial to touch upon that matter, but the government dared do it. Of course, we see that many things in this regard are not being done justly and well. So if the first year was good, then this year shows clear confusion. They are not usurping power, but working almost like the opposition. One commission after another investigating minor matters. All we are missing is a Seimas inquiry into Vytautas the Great not conquering the seaside after the Battle of Žalgiris. We would have more lands now. This confusion is very clear. The first year was good, the second year shows confusion, the third year could be tragic," the political scientist states. The majority has shown signs of weakness with its failure to overturn a presidential veto on party financing, intended to fund the Social Democratic Labour Party, as well as the failure to approve the LRT investigation conclusions. K. Girnius points out that in reality, the "Farmers" never had a clear majority, always balancing at around 71 votes, where for serious efforts you need 80. "At one point it goes one way, at another, the other. The situation hangs on who exactly is out for a work trip. I believe that Karbauskis is making big mistakes, sharpening edges and trying to win where he won't," he explains. To this, V. Bruveris remarks that this sort of escalation of conflict and hysteria may be a conscious "Farmer" strategy seeking to increasingly polarise the public and thus mobilise their own voters. As far as such mobilisation is concerned, however, M. Katkus highlights that the "Farmer" electoral base was always only around 10% of the voters, with the party having been fortunate to face either the Social Democratic Party or the Homeland Union in the Seimas elections, where voters would vote against the two prominent parties. K. Girnius also adds that "Farmer" voters will review when the Seimas term nears its end, whether their welfare has improved and if the "Farmers" have performed well. He points out, "They will most likely realise they are not living any better. As such, I am inclined to believe that when the newest ratings come out and show how much Šimonytė has risen, people will also start talking regarding Skvernelis, whether he really is doing what is wise." 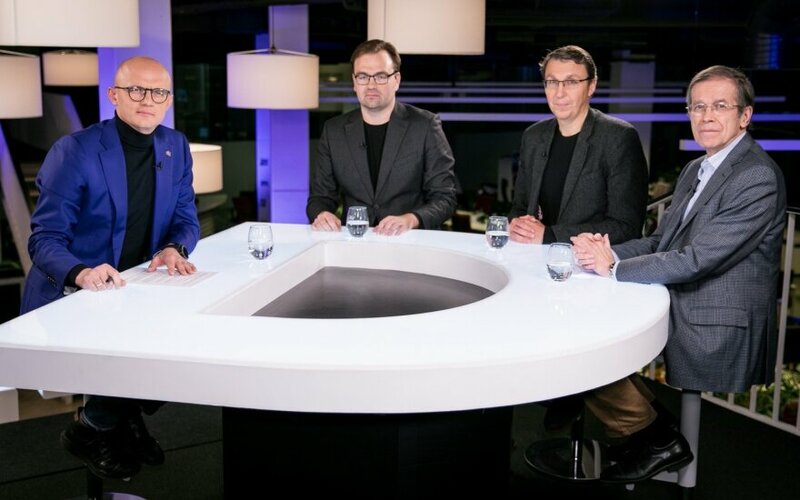 In terms of frictions in the "Farmer" Seimas group itself, V. Bruveris says, "The main thing is what the newly appearing and falling apples are talking about – the ruling method itself. After all, most of the talk is about the dictatorial, uncompromising style of Karbauskis. Of course, the question is, why they only saw the light now, but I believe that this is the main reason why little by little things break away. We have talked about their strategy. Yes, I agree that they are not doing well and I believe it will continue to get worse. I only want to note that this is a conscious strategy of theirs. Just look how the whole political field has now been centred on the conflict between the "Farmers" and Conservatives. Primarily by the effort of the "Farmers", but the Conservatives are also willingly accepting this game. This reminds of the second round of the Seimas elections, which the "Farmers" want to replicate." "People like to turn to successful things. And really, the largest political party in Lithuania is the party of the Conservatives' rivals, if you can put it that way. On the other hand, there are certain signs that others could return. Take Uspaskich's return – an immediate 6% rise (in ratings), furthermore, we should not forget that "last minute" voting has a large influence here, where people decide who to vote for almost at the ballot box. It is vital for the "Farmers" to prevent the appearance of a more visible political power, which could be an alternative to them," M. Katkus states. In regard to the "Farmers" observing mistakes from the past two years and changing, K. Girnius believes the chances are only modest, with Karbauskis remaining influential and being combative, seeking opponents. "He is deeply convinced of his truth and prepared for ultimatums. As long as those ultimatums exist, things will be bad. What will also harm them is that they are winded. The "Farmers" arrived with the main ideas of moral life, sobriety and so on. In essence, these things have been done, thus the time for normal governance and seeking to improve welfare levels has come. And in this regard, they are completely winded," the VU TSPMI political scientist states. V. Bruveris also notes that Ramūnas Karbauskis remains a central figure, both politically and ideologically. The analyst does not believe that there is any chance for R. Karbauskis to change, which is made even worse by him not only being an oligarch, but one with a messianic mentality of always being right and seeking to prove he is the alpha male at any cost. M. Katkus believes that the "Farmers" are not starved for ideas, with the cabinet perhaps even having an excessive abundance of them. He notes that this time, the government is definitely not just accomplishing the plans of their predecessors unlike the previous one. "I believe that they are placing all their bets on January 1 – the day from which almost everyone will obtain more money. Next year's budget, as we know, sets aside more funds for benefits, thus there is hope that receiving more money, people will think that this government is not all talk and is actually acting. Another question is whether the government will be able to appropriate the successes and communicate them," the public relations expert observes. "In terms of symbolic matters, I would like to highlight a negative dynamic for the "Farmers" – if in the first half of term, it was Karbauskis, who bled the most and the PM comfortably sat in the shelter of Gediminas Avenue 11, now it is the prime minister, who is bleeding. He is increasingly often in the epicentre of criticism and usually for his own stupid communications mistakes, failure to rein in his mouth. In regard to coming elections, if the prime minister bleeds so much he can't even enter the presidential elections or enters and loses them to a right wing candidate, it would be a crushing blow," V. Bruveris adds. When asked if Saulius Skvernelis could at all run for president and win, K. Girnius responds, "I think it unlikely. I believe he is wisely not running for president for now. He wants to see his latest ratings. I believe that they could drop significantly. If he sees that for several months his ratings have been plummeting, he will not run for president. Why run, lose and make a fool of yourself? I believe that if matters continue as they are, perhaps Skvernelis will decide not to do it - let Karbauskis go himself." K. Girnius notes that even if the prime minister did choose to run for president, he believes that likely the final duel will be between Gitanas Nausėda and Ingrida Šimonytė. To this, V. Bruveris asks, who the "Farmers" could turn to for the presidential elections, if S. Skvernelis' ratings continue bleeding. Karbauskis? Pranckietis? Bakas, Širinskienė or Juozaitis? "All of these would very much be from the substitutes bench," the analyst concludes. Regarding S. Skvernelis ratings declining, M. Katkus notes that such talks about Skvernelis' political death or ratings decline are exaggerated, with the ratings not suggesting it so far. What they do show is that S. Skvernelis has never been the first name to come up from the very first discussions of who is seen as a potential new president, while at the same time his ratings, in principle, have remained high. "What does this say? It says that the people are telling Skvernelis that he is the prime minister and should continue being one. We all remember Brazauskas, who complained in the last two years of his term that the president can't do anything in Lithuania," the public relations expert states. When asked if S. Skvernelis will run, considering current trends, K. Girnius concludes that that believes that will not be the case.